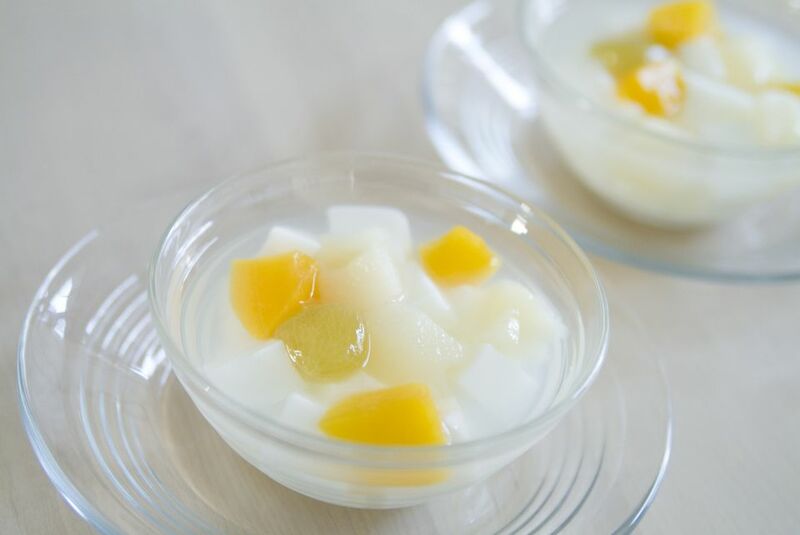 Almond float is a refreshing dessert that can be served with canned or fresh fruit. In a medium bowl, combine the gelatin and the sugar, stirring to mix well. Pour the boiling water over the gelatin/sugar mixture, and stir until completely dissolved. Stir in the almond extract, evaporated milk, and the cold water, mixing well. Pour the gelatin into a bowl or serving mold if desired. To serve, cut the gelatin into 1-inch squares or diamonds and serve with the canned fruit and the syrup from the can. The almond float may be prepared in advance and refrigerated (not frozen) until ready to serve. *Use canned mandarin oranges or other canned fruit in place of the fruit cocktail.